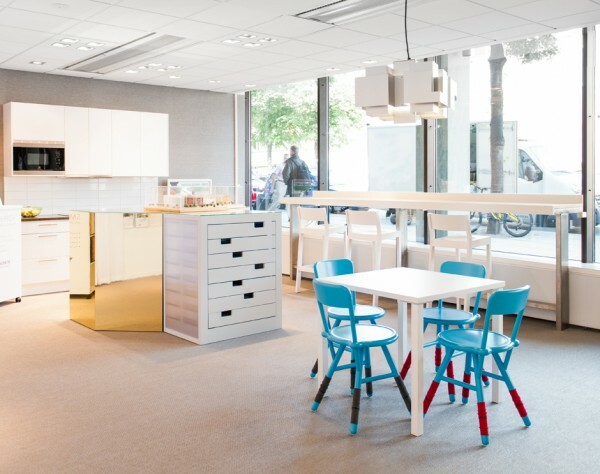 HSB, which stands for the Swedish translation of "the Savings and Construction Association of the Tenants" is a housing association of tenants and homeowners. 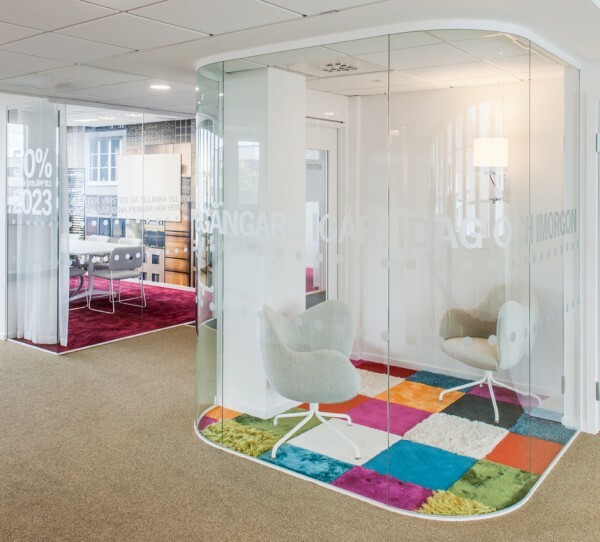 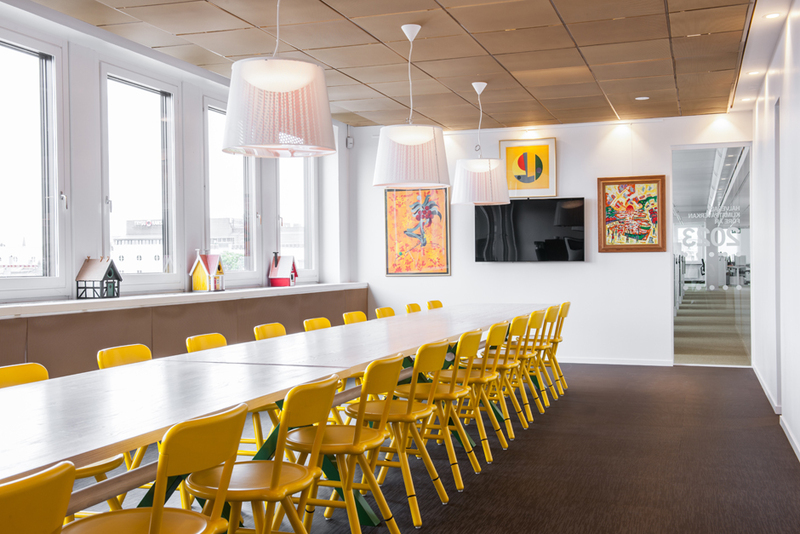 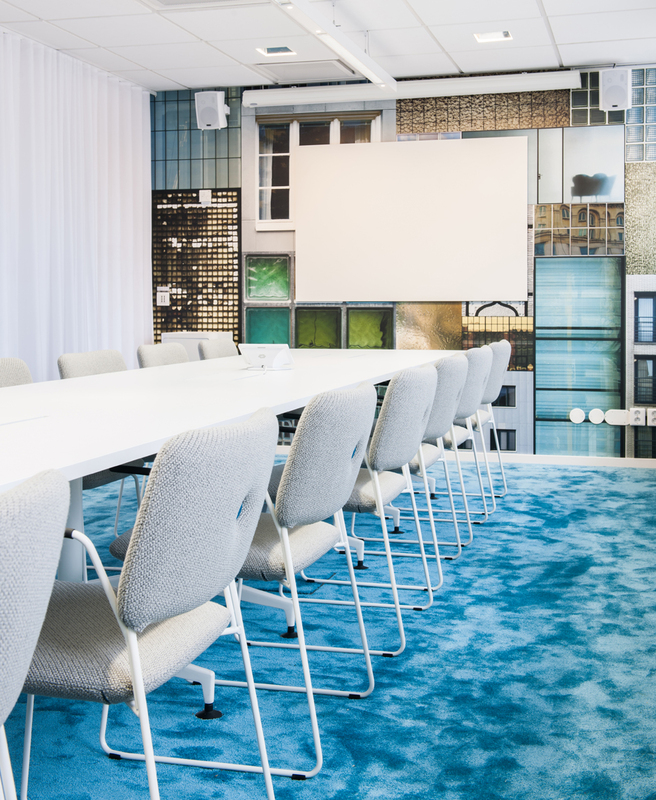 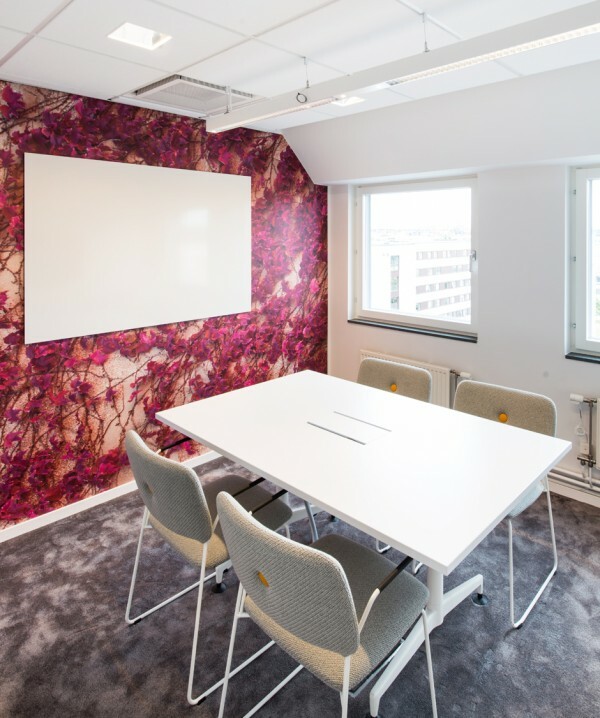 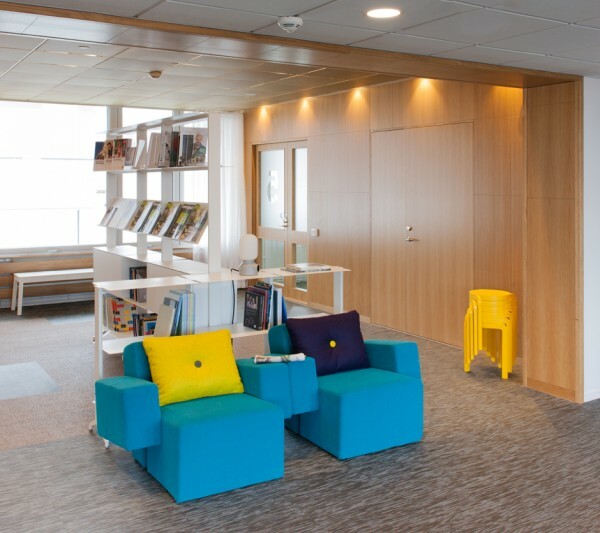 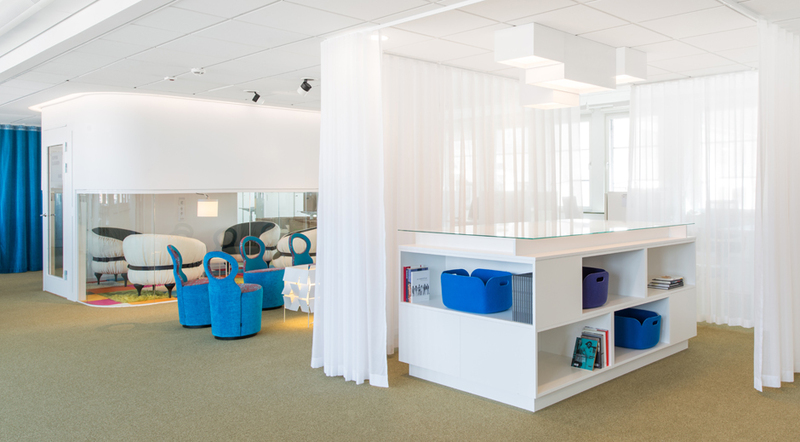 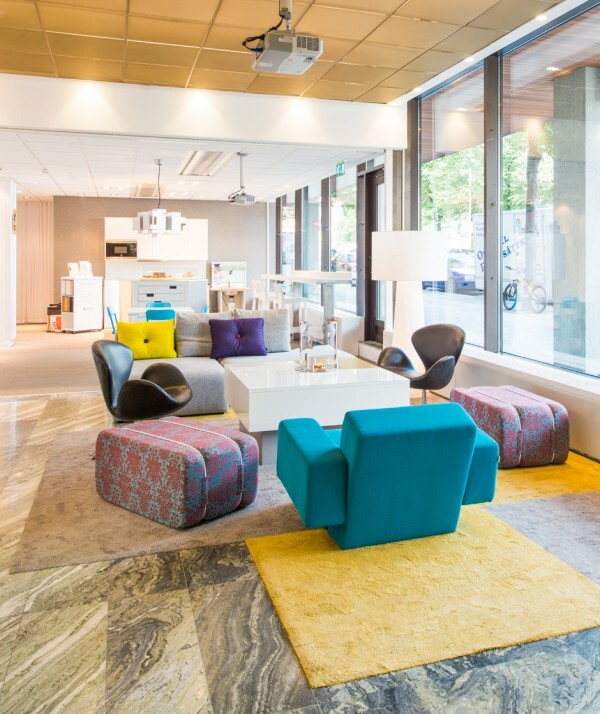 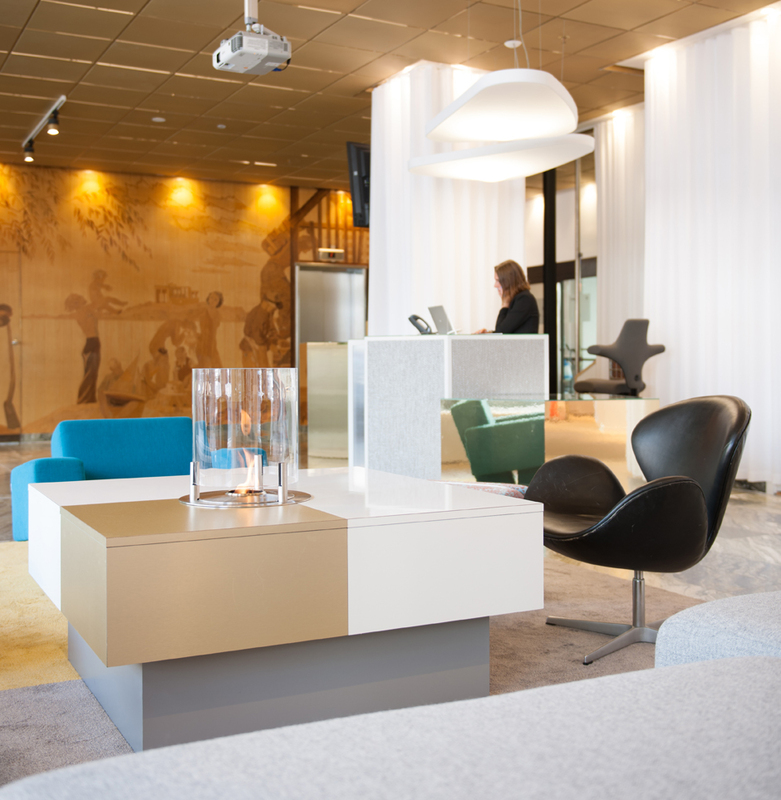 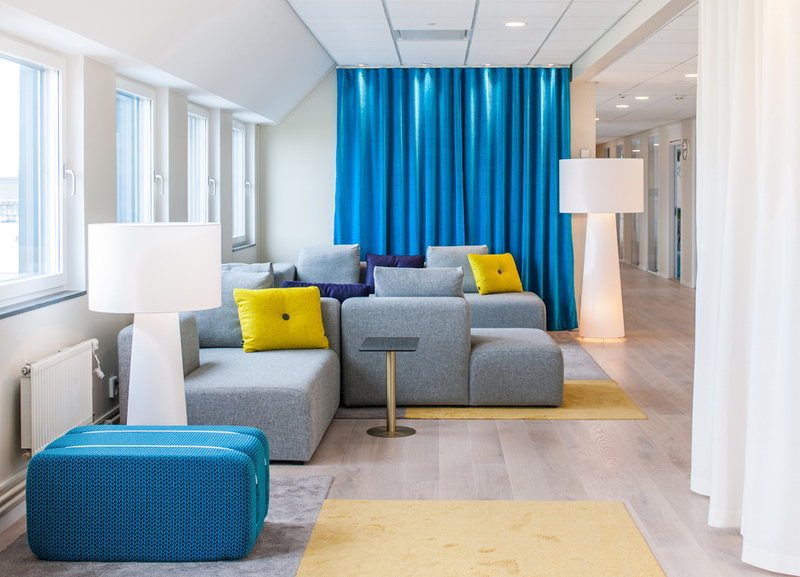 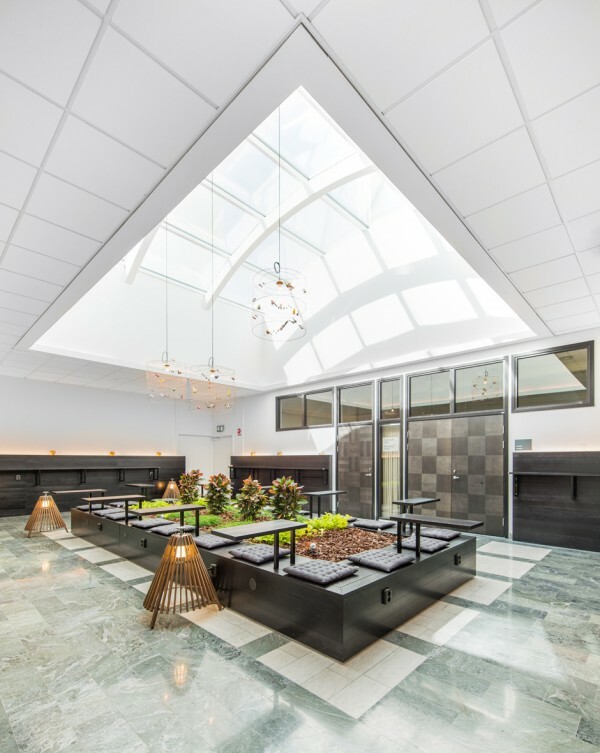 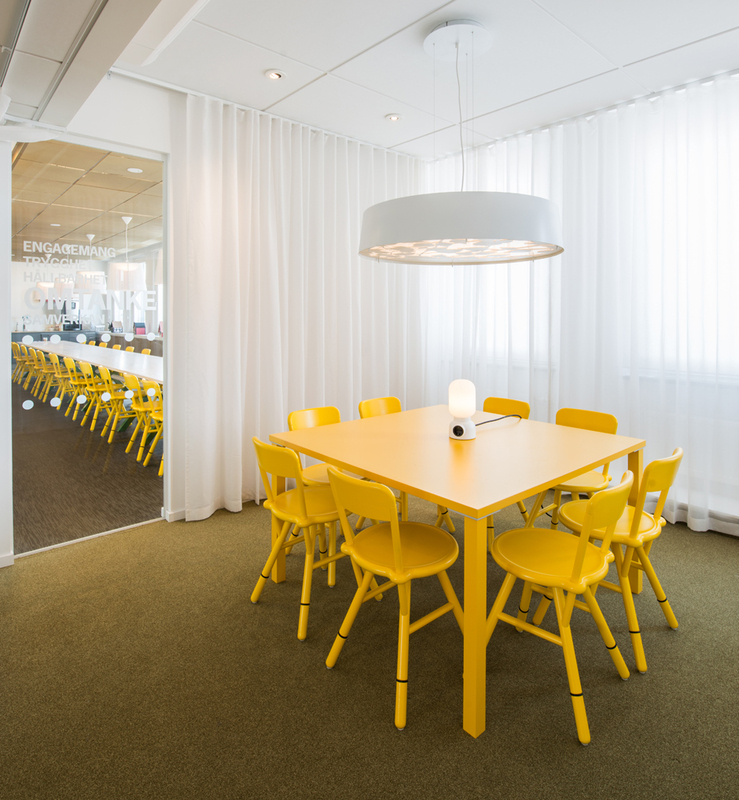 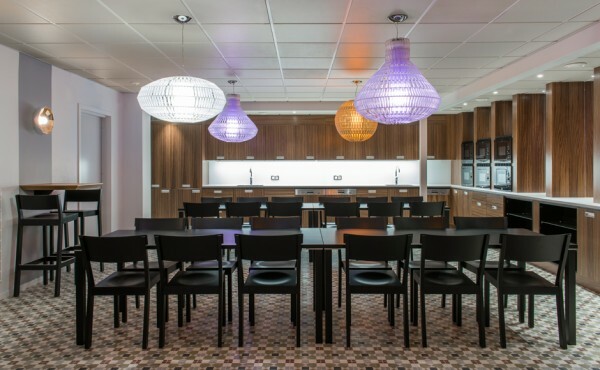 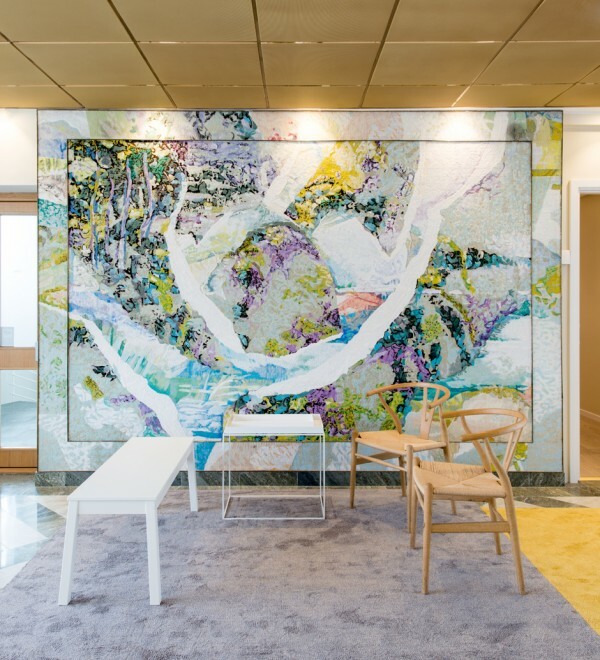 The group itself has a large office in Stockholm that houses more than 420 employees, which recently underwent a stunning renovation. 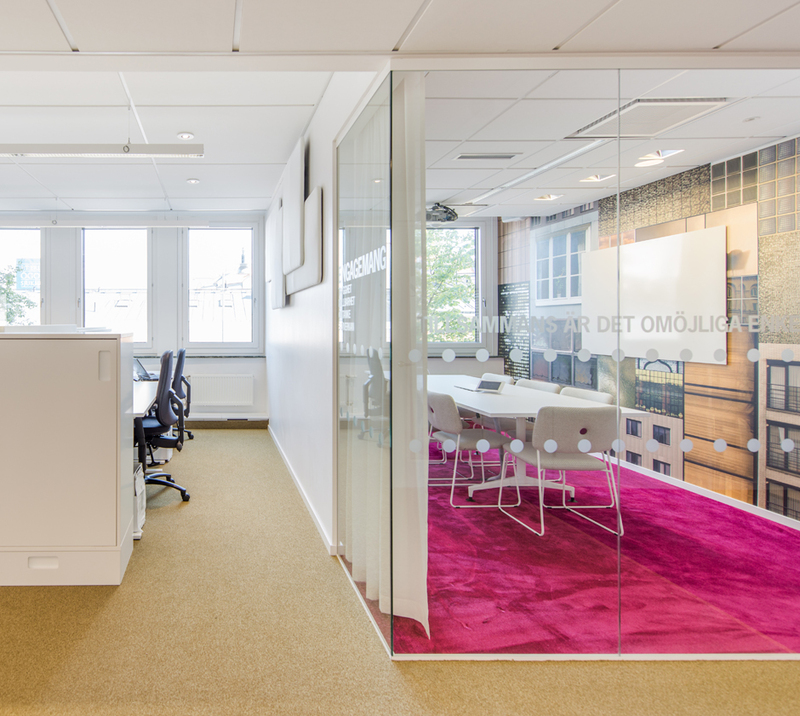 The new office, done by pS Arkitektur, is not only modern and colorful, but has transformed the space into an open work environment with plenty of space for both solitary tasks and group meetings. 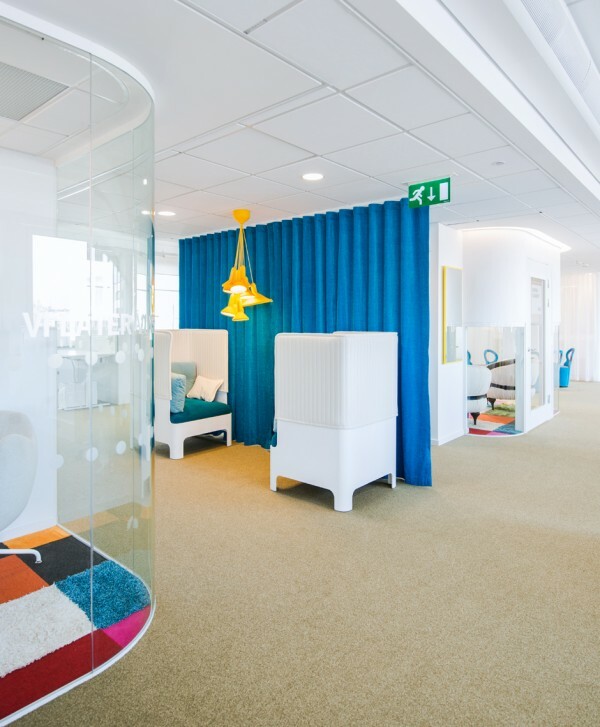 While this bright blue lounge chair may look more appropriate for an afternoon nap than a productive meeting, have comfortable spaces to sit, lounge, and relax can actually make for more productive workers. 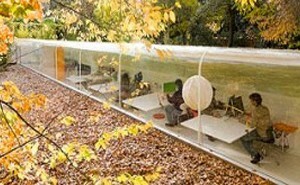 There are no proper offices in the new HSB space. 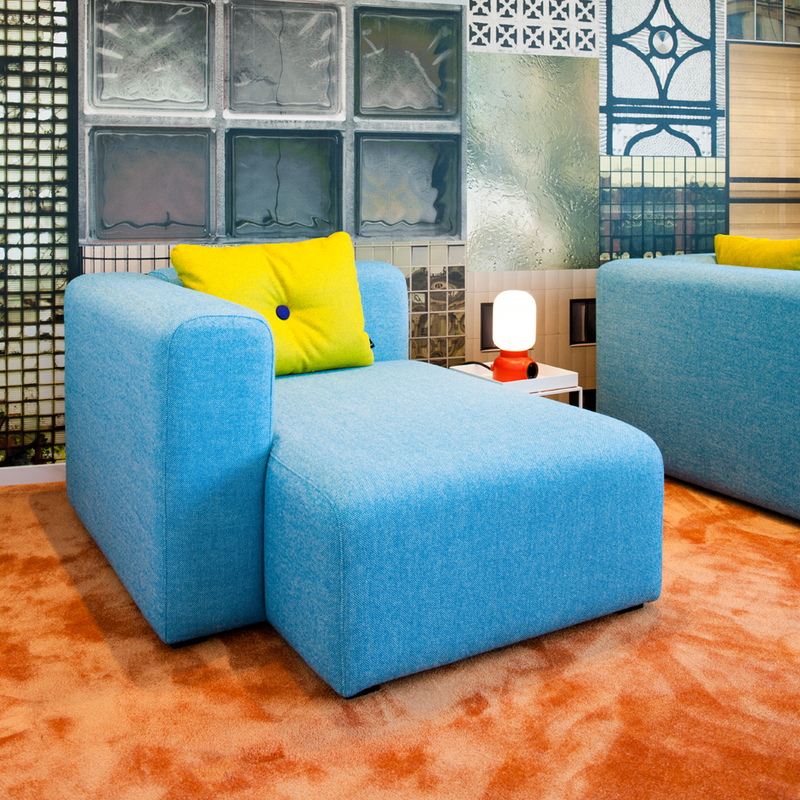 Instead, cozy chair like this one provide privacy for those that prefer it. 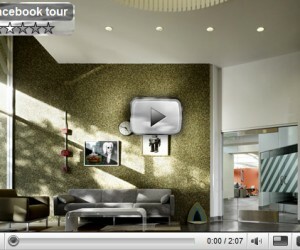 The orange light fixture overhead adds a playful spice to the area. This central atrium is a beautiful gathering space for both work and relaxing. 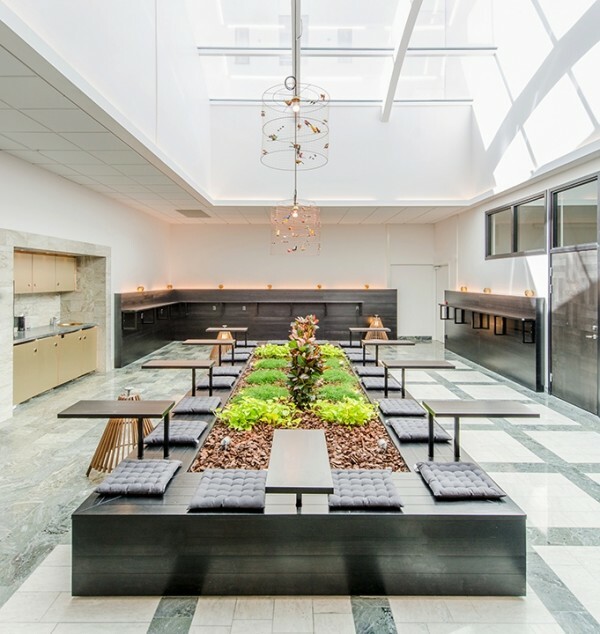 Sun streams in through the ceiling all day and the greenery nestled in the center can offer respite from chilly Stockholm winters. 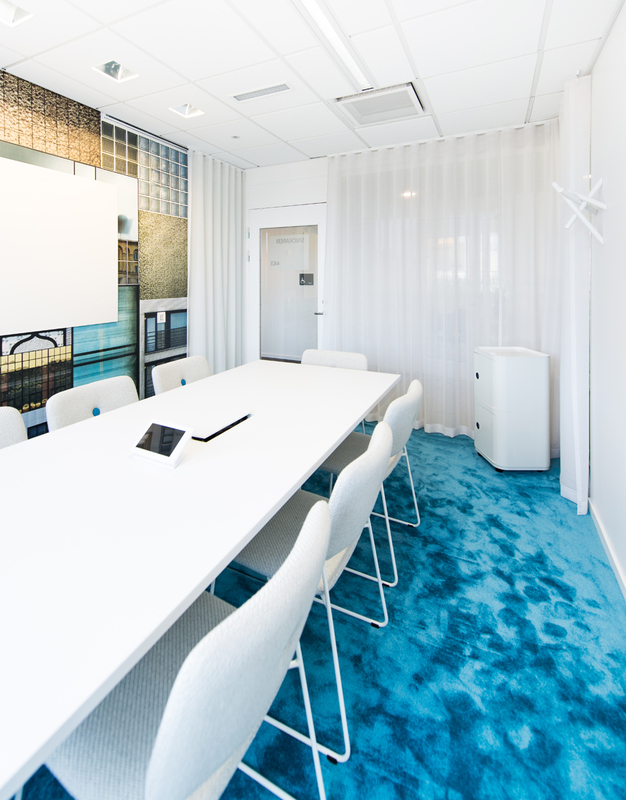 Meeting areas are a must for any office. 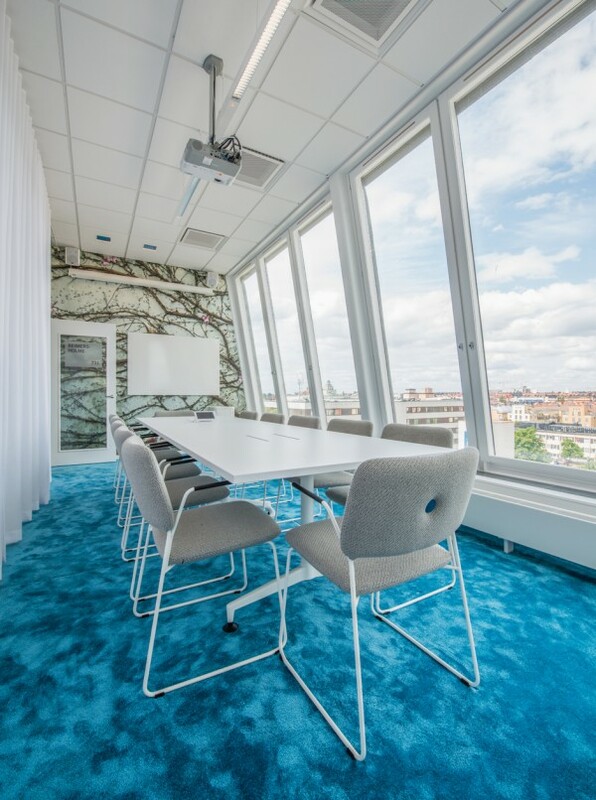 The renovations have provided plenty of space, but it is the modern furnishings such as padded wire chairs and a brilliant turquoise carpet that make them stand out from your typical concrete box. 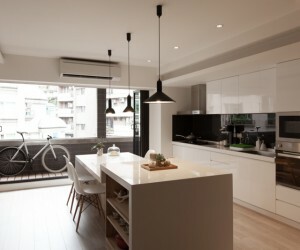 This street-level kitchen offers a window out to the bustle of the city but also plenty of sun and a pleasant place to enjoy lunch or to sit and have coffee with a coworker. 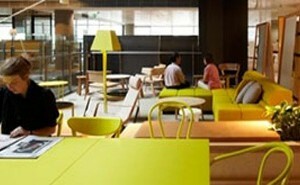 Take a seat at the outward facing bar if you want to send a message that you’d prefer to be left alone. 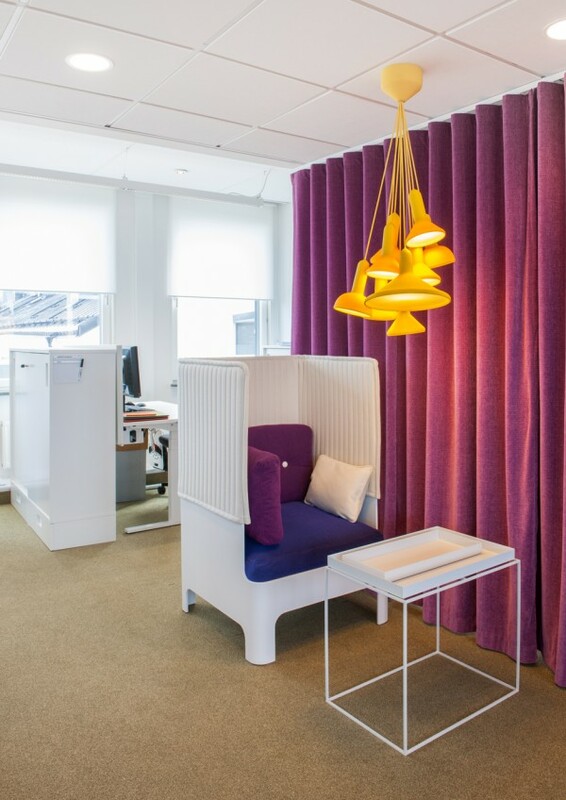 Even an open office space can do with private one-on-one sessions sometimes. 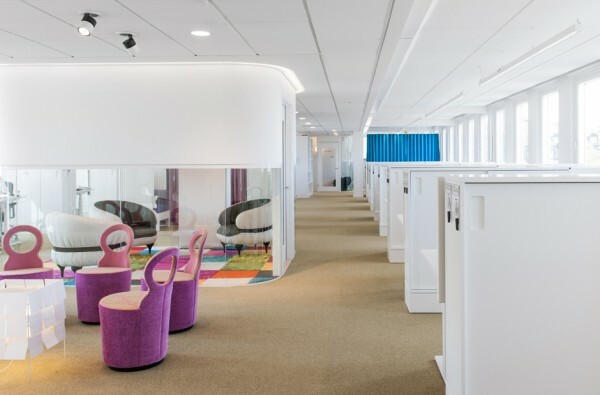 These clever “phone booths” don’t offer much in the way of physical privacy, but they are a perfect place for any sensitive discussions.